Rowan Morse leads Acton-Boxborough’s shake with Chinese players after the game. 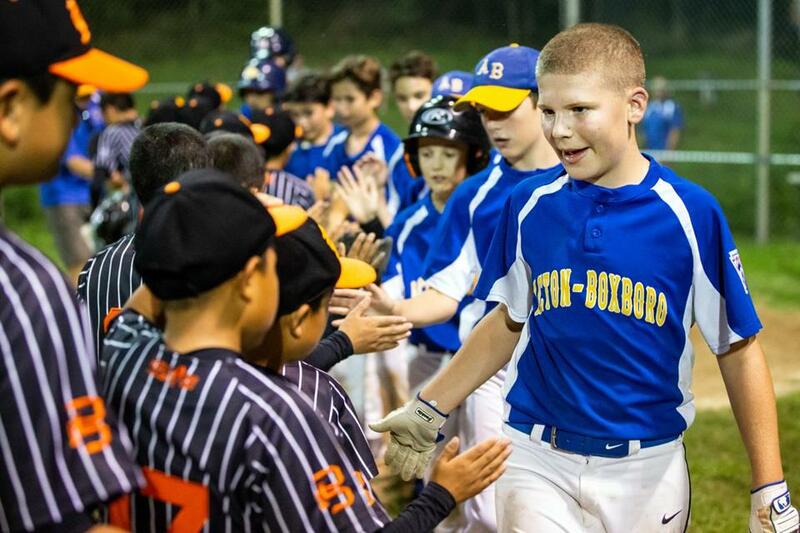 ACTON — In the smothering heat of an August evening, Acton-Boxborough Youth Baseball 12-year-olds played a game that was unusual for several reasons. The stands, typically populated by team parents and grandparents, were full of spectators, many of whom knew none of the players. The Chinese national anthem, played on flute by Grace Chai, a student at Acton’s R.J. Grey Junior High, preceded the first pitch. Savory fare donated by a handful of local restaurants — including fried rice from Ginger Court, egg rolls from Bamboo, and chicken wings from True West — had replaced the usual candy and granola bars at the snack table. And not least, the visiting team had traveled 6,700 miles to play this particular game. The visitors were members of Power Baseball Angels, a program for underprivileged boys from China, most of whom have lost their parents and live in orphanages or with relatives. Though the program — which receives sponsorship from charitable funds and Chinese corporations — is based in Beijing, many of the players come from remote regions of Tibet and northwest China. 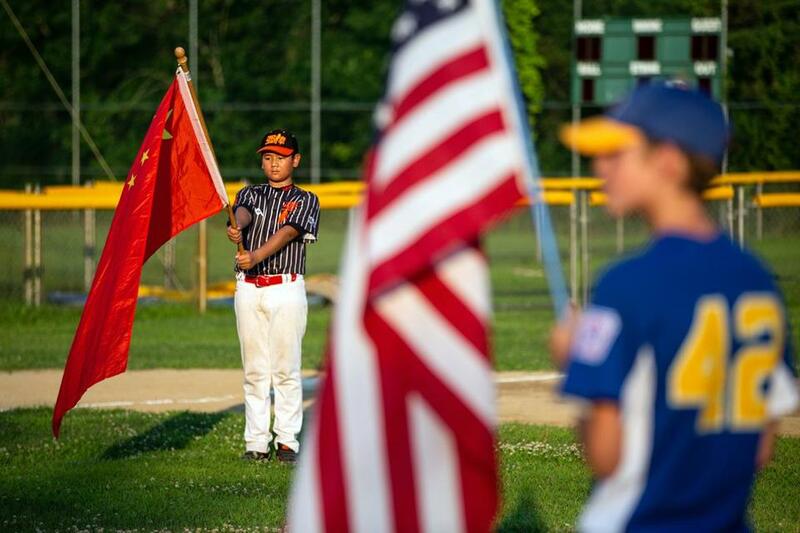 Lei Li of Boxborough heard about the team when a friend asked her to help connect Power Baseball Angels with the local sports community. 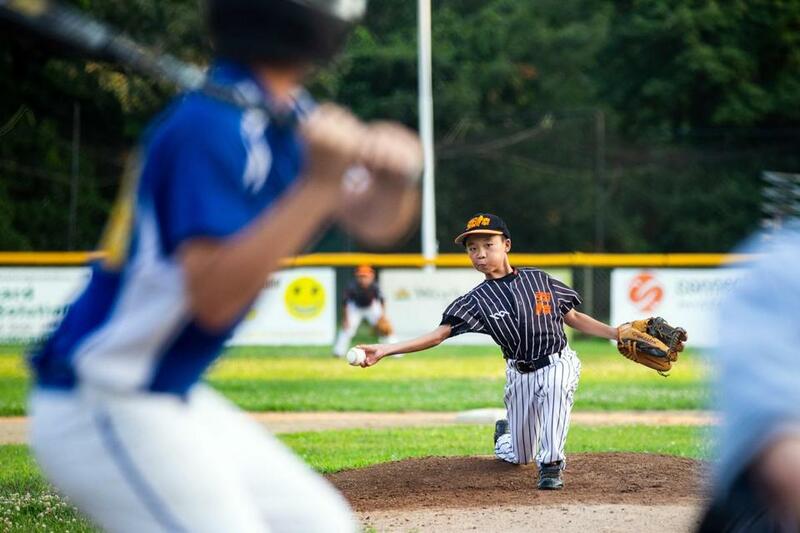 Li approached Ken Morse of AtBats, a baseball training center in Boxborough, and he put her in touch with the Acton-Boxborough Youth Baseball coaches. They immediately agreed to arrange a friendly match between the teams at Veterans Field in Acton. Before arriving in Greater Boston in early August, the Chinese team visited Washington, D.C., and New York. While here they toured Harvard, swam at Revere Beach, and watched a Lowell Spinners game. The national anthems of both countries were played at Veterans Field in Acton. Bernie Hodsdon, who coached the Acton-Boxborough team, agreed it was a learning experience for his young charges. Liang Zhengshuang delivers for the Chinese team.